← “Friends”: Things I wish I would have known when I was fifteen. #7 Entertainment? : It’s not a foreign country. 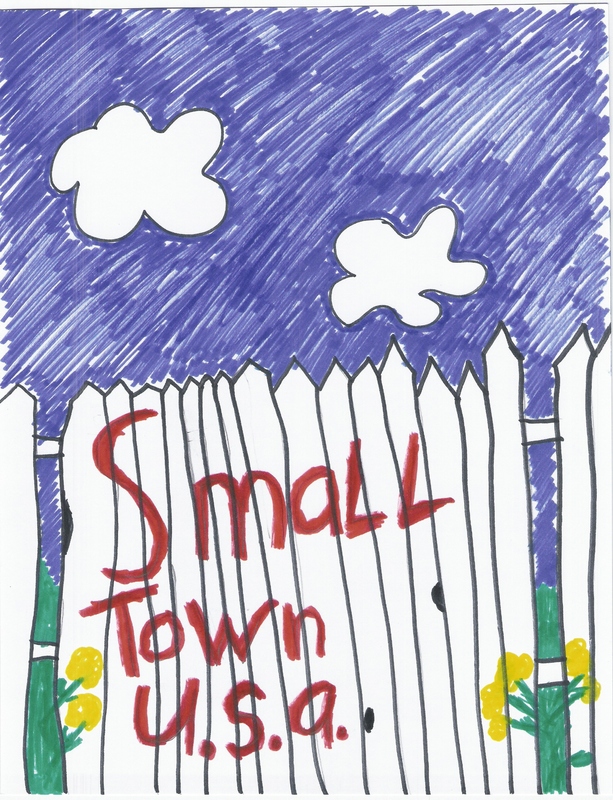 It’s a small town! Hey, I know what you’re thinking. “What can you possibly do in a small town for fun?” You’re right, they don’t have the big attractions like amusement parks, fancy restaurants, or much selection for those shopaholics. And yes it’s true, the movie theater will show the same two movies for several months at a time. It doesn’t matter, small towns are not boring. Well…if you’re willing to broaden your mind. As a kid, I spent hours playing in the creek, catching water snakes, frogs, and pulling the legs off grasshoppers. Okay…so bugs and critters aren’t your thing. Maybe try your hand at building dams, or tree houses. Still not working for ya? Hey, there’s always a hoard of neighbor kids playing cops and robbers on their bikes. Ohhh, so you’re not a kid any more. Why not go out for a sport? Mine was softball. Athletics is great in small towns. They have teams for all ages. You don’t have to tryout to make a team, they need bodies period, so you won’t sit the bench either. Everyone plays no matter what their skill level. Ooo, you can drive. Might I suggest four wheeling, or hiking the endless miles of terrain surrounding the small town? There’s lots of beautiful things to see and you don’t have to pay get in. To this day, my favorite thing to do was go to this secluded park where they had a huge swing set. Connected to thirty-feet of chain, these swings were a lawsuit-waiting-to-happen. But oh, in the middle of the night, with the wind zinging past me as I pumped myself higher and higher, I felt I could rocket to the moon. Life is full of simple joys when we learn to broaden our minds. What are some things you like to do? 2 Responses to #7 Entertainment? : It’s not a foreign country. It’s a small town! Great site and congrats for your book still trying to get one done by someone other than me keep up the hard word and keep the pen to the page. Thank you for the support. We writers have to stick together.